Egg allergies are one of the most common allergies found in children. Many times this allergy develops in children as young as infants and can be grown out of by 7-12 years old. In some cases the allergy will develop in teenagers and adults. Like all food allergies, egg allergies are caused by an immune system overreaction. Most people with egg allergies are allergic to the protein in the egg yolks and egg whites, although it is more common to be allergic to the egg whites. I developed my egg allergy when I was about 14. I had been having stomach aches daily for almost 3 years. I kept food journals and went to the doctor countless times trying to figure out what was wrong with me. Then about a year ago I started getting constricted breathing and a rapid heartbeat as well as the continuing stomach aches. Finally, through blood tests, I found out that I am allergic to eggs. Immediately I turned to allergy cookbooks, websites, and other places, looking for recipes without eggs. I tried numerous recipes that I found, but I was not satisfied with how some of the egg-free (or eggless, as I like to call it) recipes came out. So I started experimenting with recipes, using different egg substitutes that I had found through research. 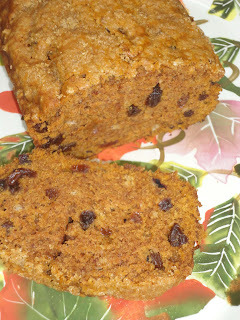 Although a few of the recipes I experimented with flopped, many of them turned out quite well (if I do say so myself!). This blog is a record of my experiments in egg-free foods.